A recent survey commissioned by the Israel Movement for Reform and Progressive Judaism claimed that one in three Israelis “especially identify” with that movement. This astounding finding perplexed many observers, as – according to that same survey – only half as many Israelis had so much as visited a Reform congregation even once during the previous five years. With real support from Israeli Jews, Reform and Conservative leaders would have little difficulty changing the nature of Jewish prayer at the Western Wall – Knesset parties serve constituencies, and would gladly enact modifications demanded by their voters. Instead, American liberal leaders are making threats: at a meeting with Prime Minister Netanyahu, Rabbi Rick Jacobs, President of the Union for Reform Judaism (URJ), warned of a “major rift between Diaspora Jewry and the State of Israel” if their demands are not met. The heads of the American Reform and Conservative movements believe that Jewish love for Israel comes with terms and conditions, and that they control the American Jewish heart. They are inflating their importance on both sides of the Atlantic, and placing naked self-interest ahead of the unity of the Jewish People. To be certain, they did not attempt to convince Israeli leaders of widespread local support. There are fewer than 75 Reform and Conservative congregations in the whole of Israel, including those open only on holidays. In the aggregate, they serve less than 25,000 congregants – under 0.4% of Israel’s 6.3 million Jews. There are more Orthodox synagogues in Tel Aviv, the “secular capital” of Israel, than seats in its lone Reform congregation. Instead, they assert that “Diaspora Jewry” shares in their demands. Even ignoring the predominance of traditional Orthodox synagogues everywhere outside North America, this is a specious claim: according to the Pew Survey of 2013, only 25% of Jews in the US are members of a Reform or Conservative congregation. They have lost the allegiance and involvement of the American Jews they claim to represent. The majority of the less than 250,000 American Jews visiting Israel each year – and the vast majority of olim – are Orthodox. Of the remainder, the majority are on Birthright Israel or others visiting for their first time. One is left with a vanishingly small number with any interest in changing Israel’s entirely different Jewish culture. The Pew Survey of Israeli Jews published this year noted that the American concept of Jews divided into “denominations” or “streams” is foreign to Israeli Judaism, which remains far more traditional. Responding to their impartial questionnaire, less than 5% of Israelis identified with either US liberal denomination: the overwhelming majority chose “Orthodox” or “none.” And even so-called secular (“Hiloni”) Israelis are more likely to engage in Jewish observances – such as lighting Sabbath candles, holding a Passover Seder or fasting on Yom Kippur – than adherents of American liberal movements. This being the case, American Reform and Conservative leaders should be less concerned about Israeli Jewish practices, and more concerned about those of their own congregants. Successive surveys show sagging Jewish affiliation over time in America, while just the opposite is true in Israel. Without focused effort by liberal leaders, the Diaspora’s troubling Jewish decline will continue to accelerate within their movements, and the Jewish future will be found only in the yet more rapid growth of Orthodoxy. The median age of those identified with liberal denominations is now 55, while that of Orthodox Americans is 40 and swiftly dropping. The intermarriage rate for non-Orthodox Jews has reached over 70% – for the Orthodox, it is stable at 2%. According to the Avi Chai Foundation, only 5% of American Jewish children receiving a full-day Jewish education attend Reform or Conservative schools. To the extent that Jewish allegiance to Israel has become conditional rather than integral for American Jews, this is the sad consequence of that same lack of commitment. According to the Pew Survey in Israel, 68% of Israelis feel a common bond with their Jewish brethren in America, and three-fourths believe that we share a common destiny. Yet only 43% of American Jews now believe that caring about Israel is essential to being Jewish. A growing number of supporters of the anti-Israel BDS movement on campus are young progressive Jews, in love with liberal ideals and blithely ignorant of the ugly history of anti-Semitism. Are these among the American Jews who might “rupture” with Israel over the issue of Jewish prayer? Israel’s multifaceted Jewish community has demonstrated its commitment and success in ensuring a common Jewish future; it is inappropriate for American Reform and Conservative leaders to demand changes. They cannot presume to speak for American Jewry, and the Prime Minister should recognize that “love” contingent upon meeting demands is no love at all. 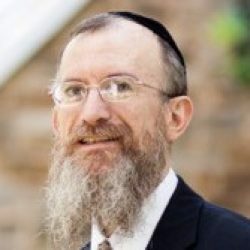 Rabbi Yaakov Menken is the Director of Project Genesis – Torah.org, and the co-Editor of Cross-Currents.com, an Orthodox on-line journal. Rabbi Pesach Lerner is the Executive Vice President Emeritus of the National Council of Young Israel.